With her talent for pushing artistic boundaries, one might mistake creativity as her greatest gift. In fact, Ariel’s greatest gift is her passion and desire to help bring out the best in others. From teaching her fellow stylists to working individually with her clients, she finds joy in having a creative outlet and working with like minded souls. Ariel began working on hair in her dorm room while completing her degree in Public Communications from Northwest Nazarene University. 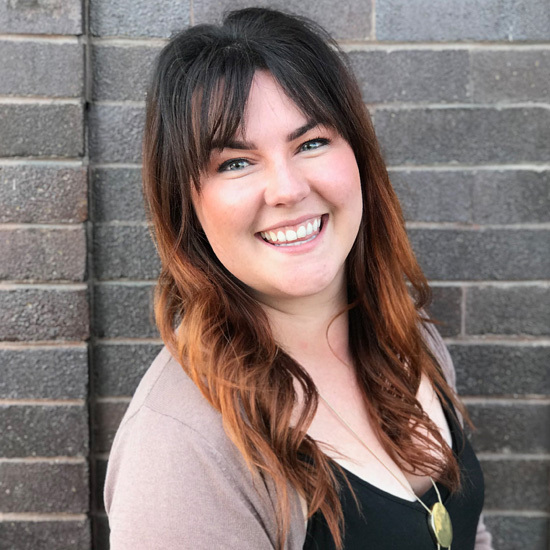 After completing her degree, she followed her passion and trained at the Paul Mitchell School in Boise, ID where she graduated in 2012 with honors. Along with being behind the chair taking care of clients, she works as an educator and salon supporter for a natural product line — Surface. Ariel travels between both Boise, ID and Salt Lake City, UT to take care of her clients.